An app to help people find parking spaces will be tested in the neighbourhood of Easton, Bristol from today (22 January). 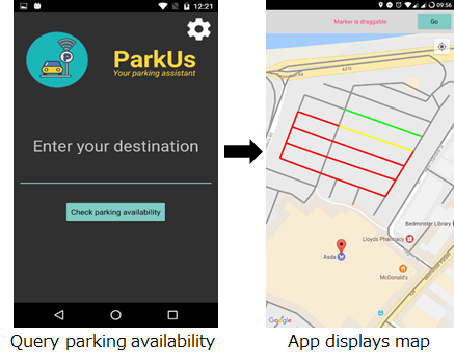 The aim of the free parking app, called ParkUs, is to reduce the amount of time people spend driving around looking for parking and the pollution and congestion that this can cause. The app can help you to choose a good time to go shopping and find on-street parking outside of your home or a chosen destination. To take part in the trial, you can download the Android app on the Google Play store for free – search for ParkUs or click here. It is predicted that the app will work best when there are lots of people using it, as it relies on feedback from users about their ability to park. By taking part in the trial, you will help to make the system and information available become more accurate. Use of the app is anonymous and it does not collect any personal information. More information is available here. The app is being trialled in Easton as part of the EU-funded research project REPLICATE.